The impact of video conferencing on innovation and productivity is only just starting to be felt. Critical business processes, from customer service to problem solving, are being deployed using online conferencing methods. 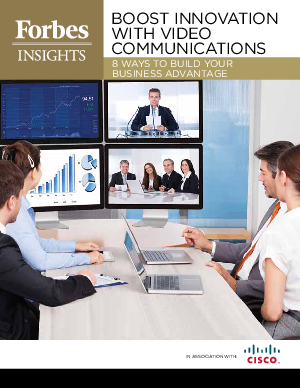 Get up to speed on the advantages of video conferencing by downloading the Forbes Insights paper, which outlines the latest research on the top 8 ways video conferences are helping companies improve their business advantage.